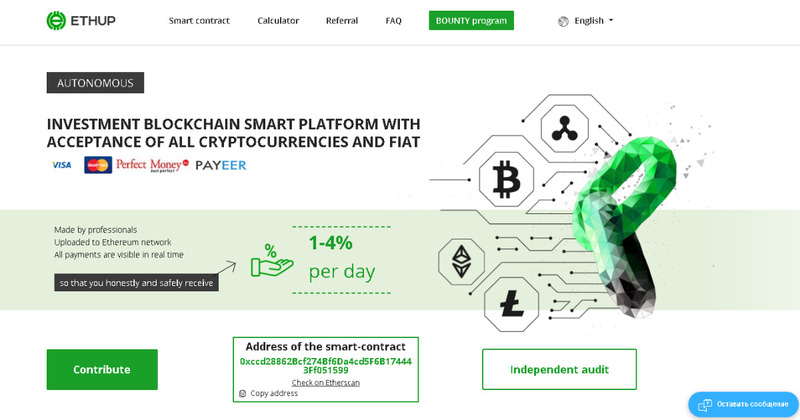 The first hybrid smart contract with acceptance of all cryptocurrencies and Fiat money. We do not just promise you something new in the world of HYIP projects - we have actually implemented it. Replenishment through the payment gateways of our partners: PAYEER, PERFECT MONEY. You will be redirected to the gateway page to complete the transfer. After the transfer is completed, you will be generated ethereum wallet.